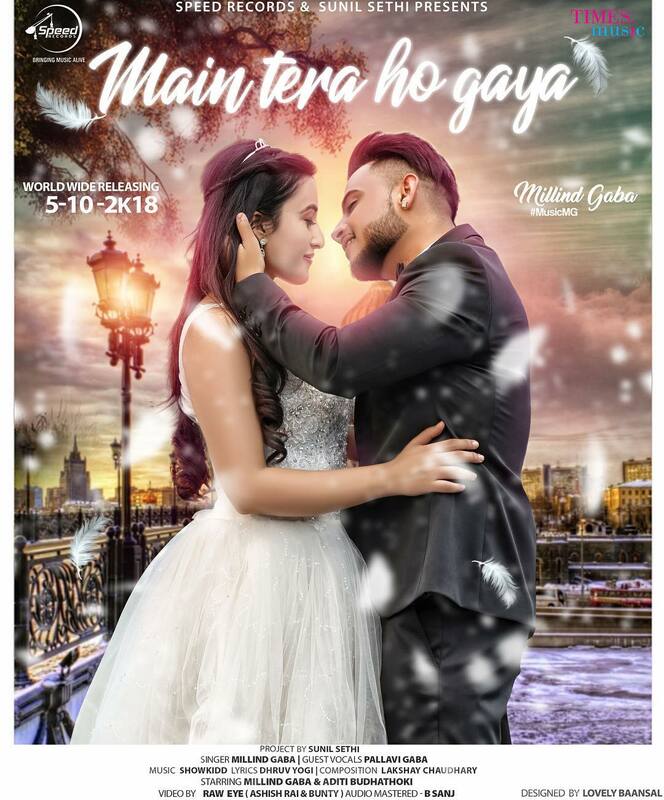 Main Tera Ho Gya Lyrics Milind Gaba New Song 2018 - Millind Gaba is back with yet another single track Main Tera Ho Gaya after the grand success of Main Teri Ho Gayi Aan. Millind Gaba is back with yet another single track Main Tera Ho Gaya after the grand success of Main Teri Ho Gayi Aan. Pallavi Gaba has performed vocals alongside Millind Gaba in his New Song #MainTeraHoGaya. Music of the song is produced by Show Kidd while Main Tera Ho Gaya Lyrics are penned by Dhruv Yogi. Music video of the song is shot and directed by Raw Eye. Last Hindi song 'Kalesh' released by Milind Gaba featuring Bollywood's superstar singer Mika has crossed 44 million views on youtube and still counting. Hope his upcoming song Main Tera Ho Gya will also write a success story like all his previous songs. Music video of Milind Gaba's New Song 2018 will be out worldwide on October 10th, keep visiting to check the exclusive lyrics right here!